Chris Carley has spent many years in the MLM industry. She has been writing the story for her book for the last decade. Now she has put it on paper and made it digital. Chris Carley has written an inspirational story about her experiences in her Network Marketing Business. You will enjoy reading through her book, "The Millionaire Within Us." Chris Carley failed in Network Marketing Industry a few of times before she started seeing the results of her hard work really pay off. What made it much tougher was that for a long time many people did not believe in her. They did not believe she had the ability to make it work. Some people were just dream stealers when they told her she was working for a pyramid, some people said it was a scam. She knew what she was doing was right. And with the help of mentors like Donald Trump, Jim Rohn, and Mark Hughes (founder of Herbalife). Chris worked through her own negative thoughts and low self-esteem. 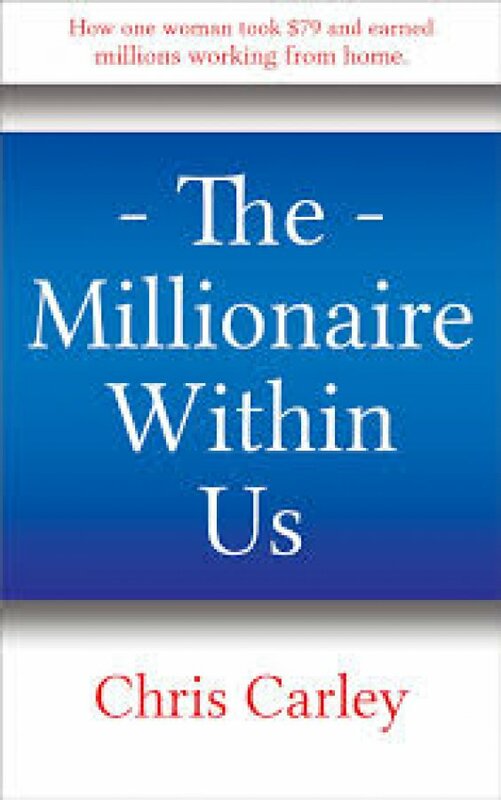 "The Millionaire Within Us" is her story of how she did it and can serve as a motivational blue print for others to follow. Get a few copies and share it with others. Contact Jackie: Chris Carley - Famous MLM Author writes " The Millionaire Within Us"